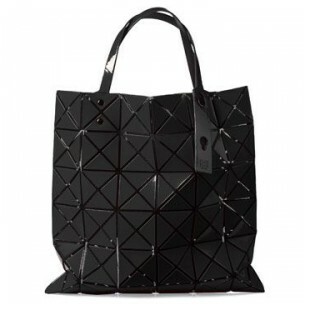 Showing some things can be both good and old I found Issey Miyake's original delicious Bilbao tote bag online at Takashimaya NYC, $395. A hit at MOMA's gift shop a few years back, things like this transcend the accessory category... this is wearable art to the 9th degree. The new version via Estella NYC, with it's much smaller panels and lackluster generic shape shows that some things are better left well enough alone. For all those Star Wars and R. Buckminster Fuller aficionados, this is it.